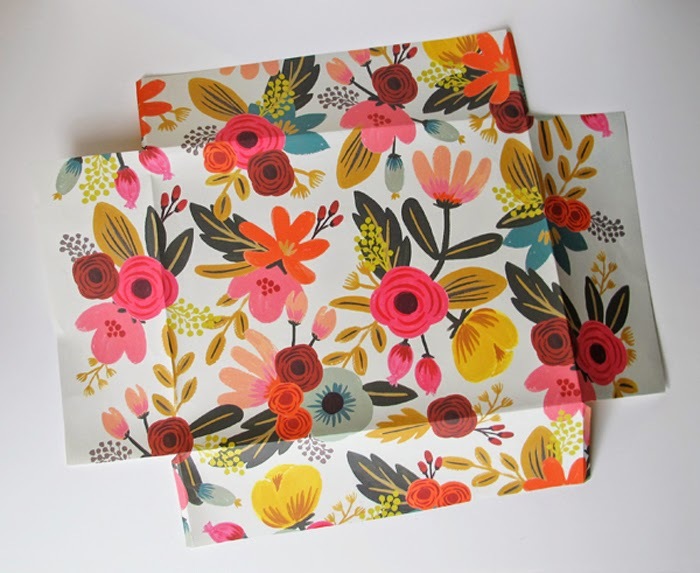 I love, love, love to cover things (especially vintage things) with pretty paper or fabric. It’s starting to be a problem. 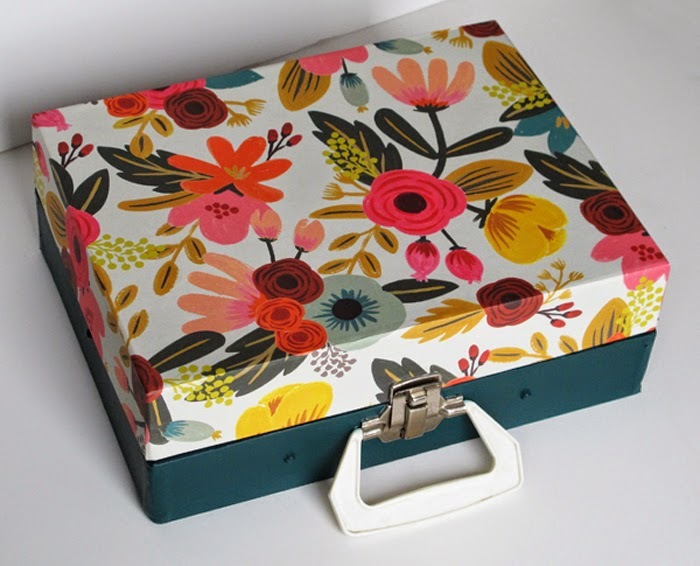 I covered my sx-70 polaroid camera, my vintage typewriter, a bunch of matchboxes for the holidays and I regularly cover vintage scissors and sell them (framed) in my shop. 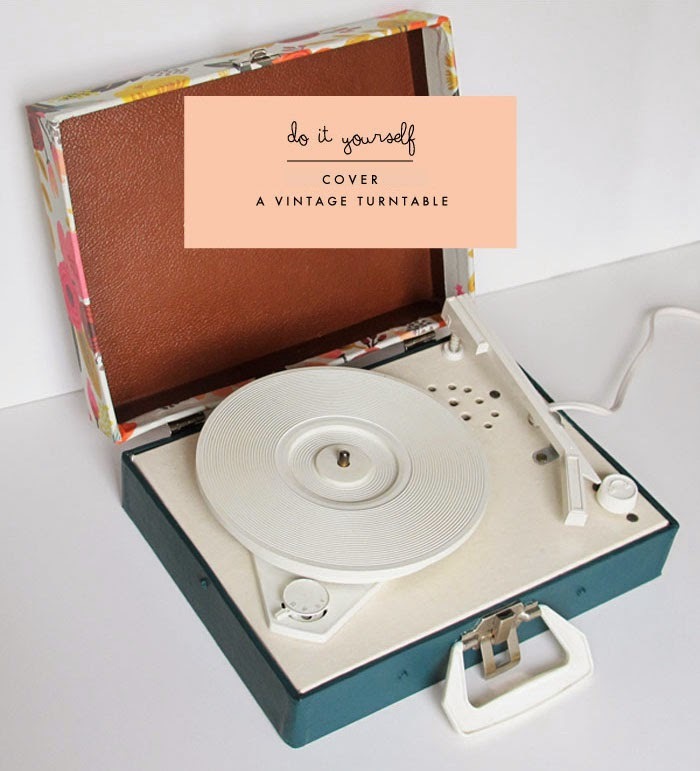 So when Jan asked me to cover this adorable vintage record player, I couldn’t resist. If you have something you’d like to make over, just follow these steps! 1. It doesn’t matter how bad the item looks, as long as it’s structurally sound. Sand down any bumps and wipe down with a damp cloth. 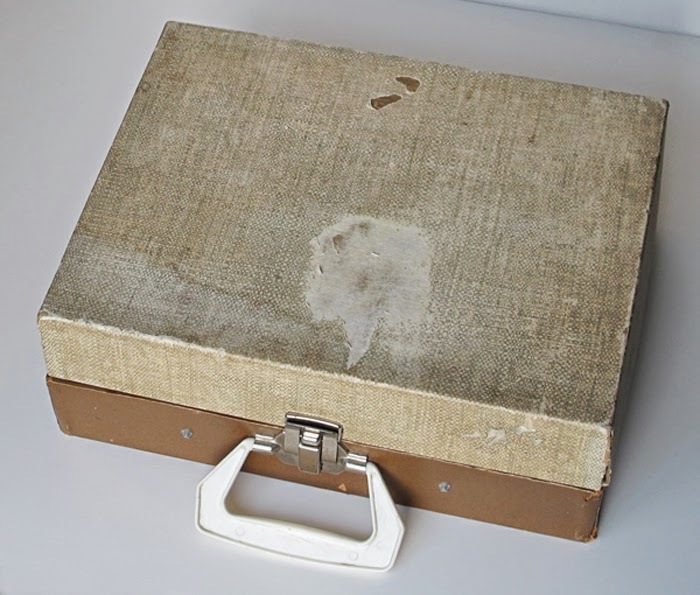 If the colors of the item you’re covering might show through the paper, make sure to paint over it with gesso. 2. 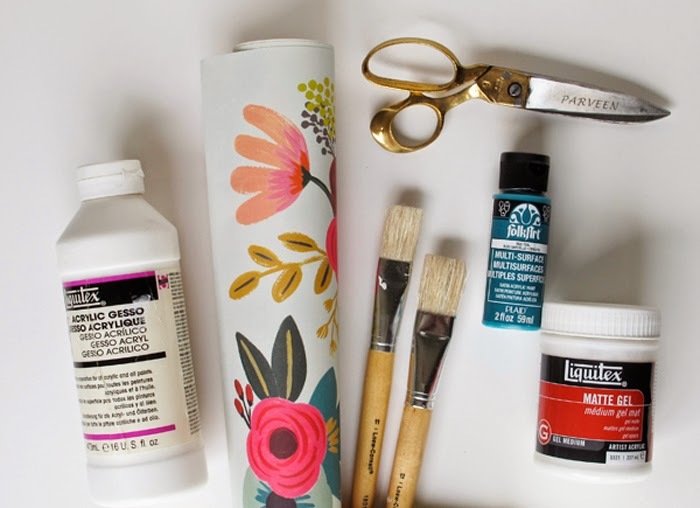 Gather your supplies: paper (I used Rifle Paper Co’s Mint Floral wrapping paper from Paper Source), gesso (optional), scissors, paint brushes (various sizes), matte acrylic gel medium (my preferred adhesive), paint (optional). 3. For this project I measured the area I was going to cover, cut the paper to size (don’t forget any edges you’ll be wrapping around), set the paper on top of the record player and gently creased where the edges were. Then I cut out the corners – make sure to leave a little extra to trim away. I covered the top of the lid with gel medium (with a 1” paint brush) then laid the paper down and smoothed out any bumps or wrinkles. 4. If you’re able to remove the hardware, definitely do that. If not you’ll have to just trim away a tiny bit at a time until the paper fits around the hardware as close as possible. Then apply gel medium to the surface (using a smaller paint brush around the hardware) and smooth down the paper. Trim away the corners until they’re flush and glue down. Basically when I cover something it involves a lot of trimming, gluing, trimming, and more gluing a little bit at a time. 5. For my camera and typewriter I was able to leave the uncovered parts alone (they already matched the print I chose) but I didn’t love the original brown bottom half of the record player, so I covered it with gesso then painted it a pretty peacock green. For now I left the inside of the lid as is (I thought the vintage logo was fun) but I might end up painting it green as well. Voila! If you’re using fabric to cover make sure to gesso the item first (fabric is sheerer than you think, plus it’ll stick better) and be prepared for the fabric to stretch a bit (no big deal, just trim the edges away). Now go forth and make something prettier! (and leave a link in the comments so we can see it!) Thanks so much for the fun project, Jan! Cori Kindred lives in gorgeous, green Portland, Oregon. When she's not making a mess in her studio you'll find her at estate sales, taking photos (she posts regularly on instagram: @corikindred), eating yummy veggie food, watching movies, playing in photobooths and traveling. Visit her at corikindred.com. Its superbbb, what a lovely creation you have don here to make it beautiful.Thanks for sharing your art here. This is so incredibly awesome! 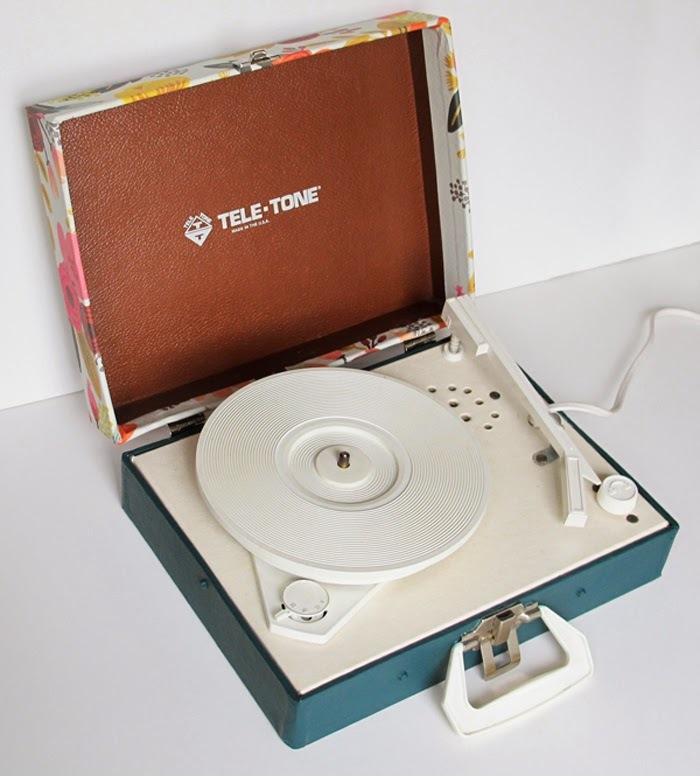 Looks like those trendy new record players you can find at urban outfitters. I love a good DIY. Thanks for sharing! This is such a pretty idea! The fabric shown here totally suits the era too. I also love this idea because it's super easy and it's instant satisfaction. Have a great week Jan.